The Last Runaway | A Practical Peacemaker Ponders . . .
A Practical Peacemaker Ponders . . . 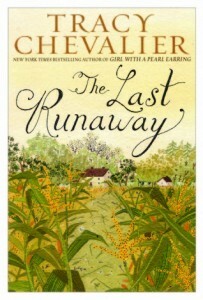 The Last Runaway, by Tracy Chevalier. E.P. Dutton, 2013. I’m always intrigued when characters face tough moral choices, and Chevalier’s latest novel takes us to a time in American history when acting compassionately was highly dangerous. The passage of the Fugitive Slave Law in 1850 required all citizens, on penalty of heavy fines and/or imprisonment, to assist slave hunters in returning slaves to their masters. 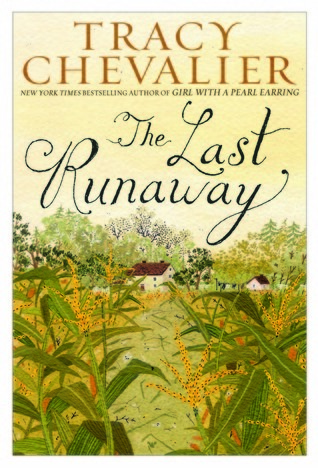 Imagine you are a young Quaker–an abolitionist and pacifist–living on a farm on the Ohio frontier at that time, as our protagonist is, and runaway slaves are often passing through the woods next to your property. They are hungry, needing shelter and direction to the next safe place, sometimes ill or injured, cold in winter. If you are caught helping them, the resulting fine could cause you to lose your farm. What do you do? Not only do our protagonist’s values put her on the wrong side of the new law, she is also a recent immigrant from England, stranded due to unforeseen circumstances at the beginning without any relatives or close friends anywhere in America. With sympathy but not sentimentality, Chevalier once again delivers a fine novel with memorable characters in a realistic-feeling historical setting. I’ve now read five of Chevalier’s novels; I really must get to the two that I have missed. Pingback: The Invention of Wings | A Practical Peacemaker Ponders . . .
Hi, and thanks for your interest in The Practical Peacemaker. If you’re concerned about violence, poverty and environmental degradation in the world, and feel powerless to make any meaningful response, this book is for you. In it you’ll learn about personal obstacles to peace, the everyday things you have within your control, as well as the ways we as a society have made peaceful habits more difficult (see table of contents below). Throughout the book you’ll find dozens of suggestions, choices you can make in your own daily life, that build momentum toward more peaceful living. Are you ready to become a practical peacemaker? Rest assured that what you do does make a difference! For ordering information, click here. If you order from me, I’ll be happy to autograph your copy for you. Does What I Do Make a Difference? For other great titles on similar subjects from my publisher, see the Lantern Books web site. 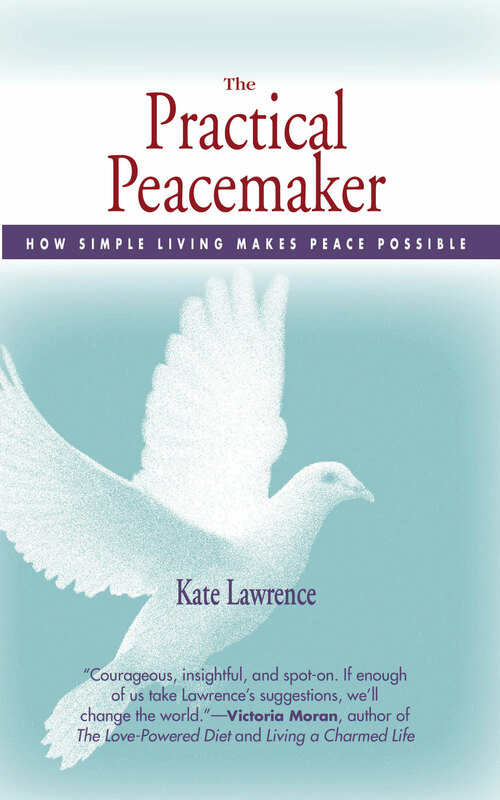 "The Practical Peacemaker is courageous, insightful, and spot-on. If enough of us take Lawrence's suggestions, we'll change the world­-and any of us who follow her lead will have lives of greater meaning and satisfaction."